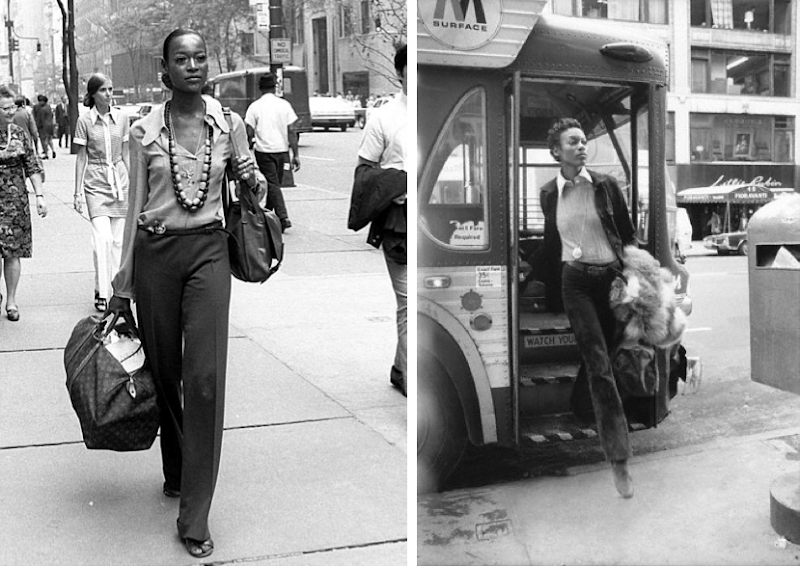 Photos of supermodel Naomi Sims in 1969 by AP and by Berry Berenson, 1972. That second shot is intense. Lord, how much do I love her carrying a fur while exiting the bus in that second shot. Great find. Good lord. She was so dammed gorgeous and cool. Love your blog. I did not know Berry Berenson (sister of Marisa & they were granddaughters of Schiaparelli I think) was a photographer. The photo on the left is my favorite. She looks so cool. I've never seen these photos before - they're beautiful. Naomi could have been photographed today and she would look au currant!